We, Aspire Media, are one of the fastest growing professional graphic designing company, providing designing solutions to our clients across the globe. With a smart, diligent and hardworking team of professionals working round the clock, we strive to assist our clients with the best services, both with designing and consultancy, keeping in with the current trends of the world, thus materializing their creative visions. "Clean design, responsiveness and good communication! " "The design was clean and simple, and exactly what we were looking for. Thank you!" "lot of errors , lot of errors still not corrected on final files. " "Aspire was great to work with! Very helpful and talented. Would use them again!" "Good design and good concepts. Just a little bit more responsiveness would help"
"Very good designs and if i needed any changes were done pretty fast. Would work again with you. " "The designer was great! Accommodated all my needs and I love the flyer. Thank you!" "Excellent communication with the designer; fast implementation of all modifications required. Good creativity"
"Great quality, speed, and communication"
"Great job by Aspire, attention to detail and flexibility made it an easy process." "Great design and fast work for finalizing. Highly recommend." "Designer provided exdellent final product exactly to my requests. Was very responsive to my edit requests until the flyer was perfected." 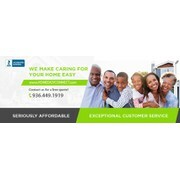 "Aspire Media did a fantastic job on our advertisement postcard. They truly captured what we were looking for in our contest description. Communications was great and they were very responsive. I highly recommend! " "Great communication. Great work. Thanks! " "Good job. I got a good design"
"Thank you so much! Super amazing job "
"I got what I was looking for!" "Great work! Very pleased with the outcome." "Very responsive, creative and excellent. Thanks! " "Good work, thanks for the quick responses. " "They worked very well with me through multiple iterations in the design phase. Very responsive, flexible and hardworking. Thanks!" "Thank you so much for all your help! You were a pleasure to work with and incredibly prompt. Thank you again!" "Excellent Job! Professional, diligent and will recommend you to others in need. Thank you." "Fantastic job! Very professional. Fast communication. Fast edits. Great experience. :)"
"Wonderful final design and a pleasure to work with! Thank you so much for all your herd work in creating a beautiful brochure for us. A+++"
"Excellent designer and great communication1 Would highly recommend to everyone!" "The designer kept adjusting the design until it was exactly what I wanted. It ended up being an excellent design." "Great designer and awsome work!"